And without knowing why / the tears spill out. Oh Nino, you vulnerable, puppy-eyed ball of melancholy! That shiver in your voice, that little dip as you sing of spilling tears, that brittle tremor, oh, oh! This song had me at its first chorus. 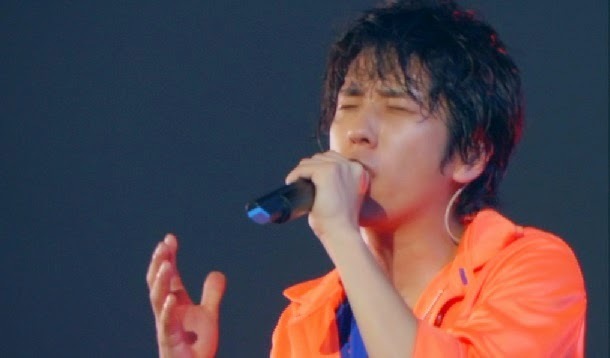 But it had me in tears at Nino's solo verse. It's just so delicate, so lilting, so expressive and emotional. Arashi may not have composed the melody or written the lyrics, but their voices are the direct vehicles to our hearts, and it's on these beautifully laid bare voices that the full yearning in this song is delivered, from Aiba's muted velvet tones in the beginning to the wistful cooings of "Uuu, uuu..." that melt softly into the hum of strings at the end. 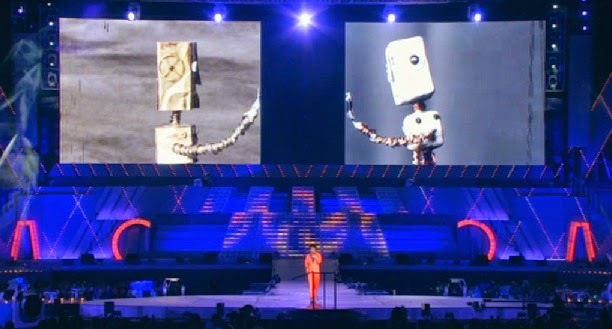 Mukae ni Iku yo is one of the more pensive numbers in Arashi's 2010 Boku no Miteiru Fuukei album, and was sung in concert against a background video of two battered robots walking through deserted landscapes to finally find each other in a tender embrace. It is one of my favorite Arashi songs, and the lack of performance videos of it is one of my most often lamented Arashi things. The thing that makes this number so dreamy is undoubtedly its instrumentation. And by that I mean the sax, oh the sax! Someone please correct me if I'm wrong (not a musician here), but I believe the first few notes in the intro were heartrendingly weaned from the beautiful curves of a saxophone here! That languidly winding melody is like a ride straight into a low-burning sunset; it's so plaintive and even though its rhythm runs like a relaxing melody, there's just enough of a lilt in it to evoke an inexplicable sorrow in the hearts of any listeners. And because the timbre of a sax has this inherent nasal quality to it, it's tempered here by a mellow piano backdrop with some violins coming in to really make the sound brim out richly to our ears. I really can't think of another Arashi song that makes such prominent use of a saxophone in its instrumentals, and it's done so evocatively here, it almost fills your heart with the bittersweet feeling that only a quiet lonely type of determination can bring. Aaahhh... Arashi hasn't even started singing yet, and already the mood is so dense with emotion! I'll just go ahead and put it out there: this song does not, in my humble opinion, feature all five members at their vocal best. 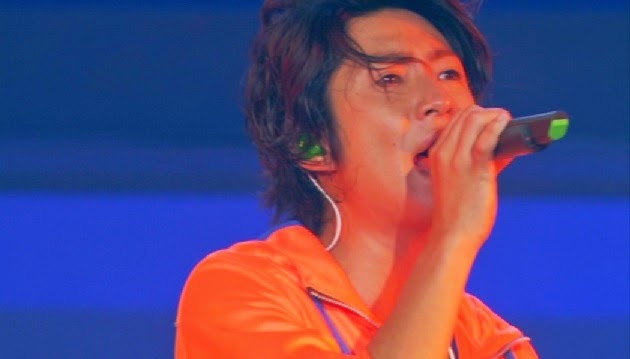 Ohno's reliable steadiness, Jun's nasal tone, and Sho's over-stretched voice all fall short of effective in a song that requires this much nostalgic absorption. 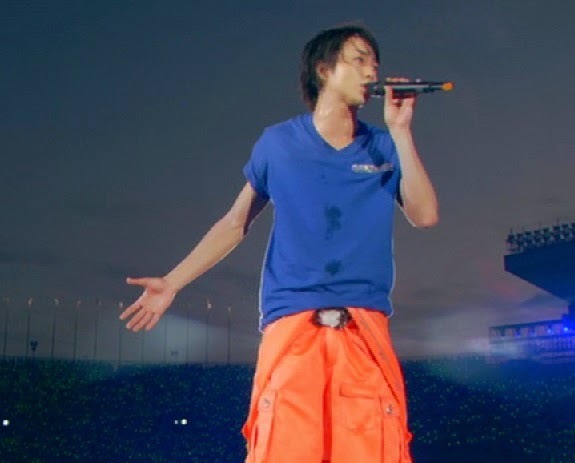 It's really not that their vocal qualities are bad per se, because we've all seen how Ohno's power blasting can shatter entire stadiums in Take Me Faraway and we know how Jun's nasal voice is the perfect medium for techno numbers like Come Back To Me and Sho's over-exerted singing actually worked pretty well in the the husky R&B context of sugar and salt, but for a song like Mukae, my ears personally lean towards a more vulnerable sort of sound, and within Arashi, this means one thing: Ninomiya Kazunari. at the azure skies / where the birds fly past. Embracing / on the verge of memory / those cherished things. The way they go from intensely singing their hearts out to a diminished shiver of breath is just so incredibly powerful. I can't tell you how much I spazz over that "WasureKAketa, daijiNAmono" line. It gets me every time, because Arashi sound like they're emotionally laid bare in those breathy thin syllables, and it breaks my heart just the sheer amount of feeling they expose and how unbearably delicate they sound. Ah, please, let me bite on something >.<!! And all throughout the verses, we get this rolling chord breakdown on the piano. The first few lines of each verse are accompanied by solid chords that accentuate the strong beats as the members sing solo. Violins crescendo in during the rests between lines, and they are so very affected and emotional. The next few lines then have a similarly soft piano backdrop, but with the chords being broken into arpeggios, giving it more of a rapid flowing pace, which then builds in intensity and pushes us straight into the chorus. The chorus itself is just full blown instrumentally. The strings swell to tearfully high pitches, the piano resumes its spine-tingling chords, and there's a huge slow clash of a cymbal just as it begins. I hear some very wistful sounding back-up singers "ooo"ing in the background, and Arashi themselves sound amazing. As long as this path continues / I will tread on, following these feelings. 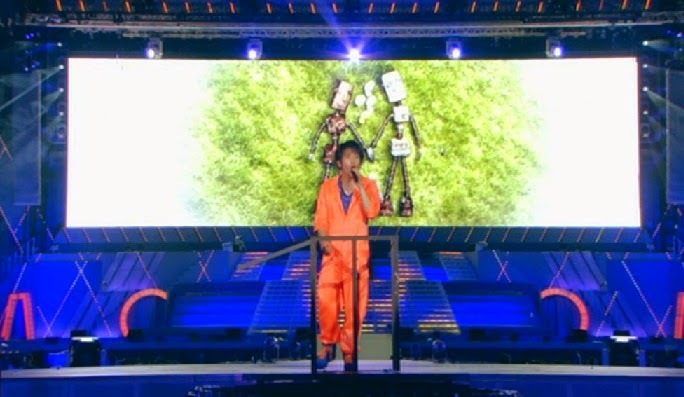 The robots join hands as they lay down on the grass and lean their heads towards each other. We're all dissolving in tear by now, I'm sure. 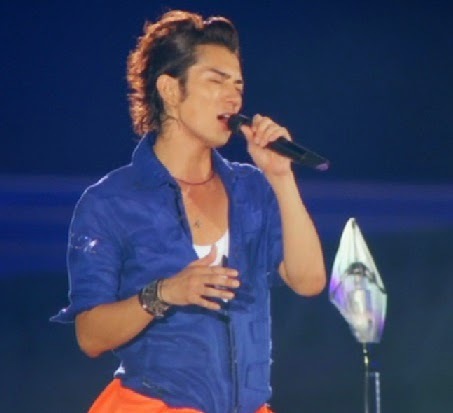 Arashi fades out of the song in musing coos. The strings take over, and it all ends in a slow, restrained cymbal clash. *note: the included lyric translations were all done by me with reference to the official Chinese lyrics found in the Taiwanese version of the album. *note 2: I have received NO musical training, so don't quote me on technical terms here! I'm just a fan trying to describe her jumbled mix of emotions as she listens to this beautiful Arashi song. You're welcome to correct me if I'm wrong about anything, and I'll fix it!